New York (TADIAS) — Ethiopian-born Neurologist Enawgaw Mehari, Founder and President of People to People (P2P), keeps a busy schedule at his job as a consultant at St. Claire Regional Medical Center and Neurology Course Director for University of Kentucky, but he always finds time to form global partnerships on healthcare related projects in Ethiopia. 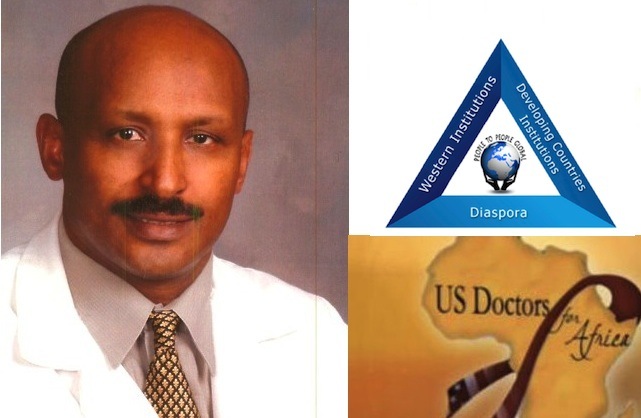 P2P, an Ethiopian doctors association that he founded in 1999, has a worldwide membership of over 55,000 as well as close ties with medical institutions in Ethiopia and the United States. Recently the California-based non-profit organization, US Doctors for Africa (USDFA), announced that it has partnered with P2P as its “Strategic Co-host” of the upcoming Pan-African Medical Doctors and Healthcare Conference to be held in Addis Ababa from May 21st through 23rd, 2014. You can learn more about the conference at panafricanhealthconference.org.